Again for the third time, AerospaceResearch.net is proud to be selected as an official mentoring organization for the Summer of Code 2017 (GSOC) program run by Google. If you are a student, take your giant leap into the space community, realizing your very own space software, and the chance to be recognized by Google headhunters. If you are professor, feel free to propose this great opportunity to your students or even have your projects being coded and realized! During the last years, we mentored more than 21 students during Summer of Code campaigns and now, we achieved several great things together. We have released several papers. We spent computing power worth 60,000 PCs to those students projects, even helping their bachelor theses, and indirectly supporting the IMEX program by the European Space Agency(ESA). And as a surprise and an honor for us, we had been on plenary stage with Canadian astronaut Chris Hadfield to promote those projects during the International Astronautical Congress 2014 in Toronto. We want to repeat that success, and now it’s your turn to be active in open-source space! Apply today, find all projects on the GSOC webpage! Feel free to forward this email to whomever you think it may concern! 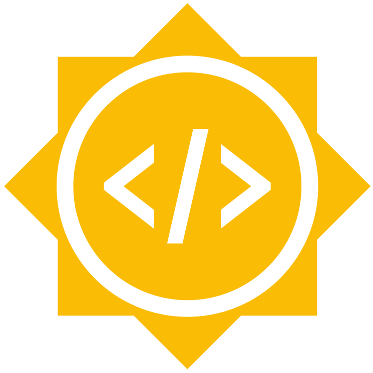 Google Summer of Code is a global program focused on introducing students to open source software development. Students work on a 3 month programming project with an open source organization during their break from university. Since its inception in 2005, the program has brought together 12,000+ student participants and 11,000 mentors from over 127 countries worldwide. Google Summer of Code has produced 30,000,000+ lines of code for 568 open source organizations. As a part of Google Summer of Code, student participants are paired with a mentor from the participating organizations, gaining exposure to real-world software development and techniques. Students have the opportunity to spend the break between their school semesters earning a stipend while working in areas related to their interests. In turn, the participating organizations are able to identify and bring in new developers who implement new features and hopefully continue to contribute to open source even after the program is over. Most importantly, more code is created and released for the use and benefit of all. We are a DGLR young academics group at the University of Stuttgart for aerospace related simulations applying distributed computing. Our global citizen scientists community of 15,000 users are donating their idle computing time of 60,000 computers and forming a virtual super computer connected via the Internet. And this massive network is used for solving difficult space numerics or for sensor applications. We are bringing space down to Earth and supporting the space community from students to organizations. The Distributed Ground Station Network is a system for tracking and communication with small satellites and other aerial vehicles. The concept includes a global network of small and cheap ground stations that track beacon signals sent by the satellite, plane or balloon. The ground stations are located at ordinary people at home, so called citizen scientists, and are connected via the Internet. A broadcasted beacon signal is received by at least 5 stations and can be used then for trilateration to obtain the position of the signal’s origin. For this each ground station correlates the received signal with the precise reception time, which is globally provided and synchronized by GPS. This shall help small satellite provider and even Google’s Loon project to be able to track their vehicles fast, globally and simple!